For those of you with short memories, Sony and Nintendo were working together in the mid '90s on a CD-based Nintendo console when negotiations fell apart and both Japanese companies went their separate ways. Sony with the PlayStation and Nintendo with the N64—and we all know what happened since. 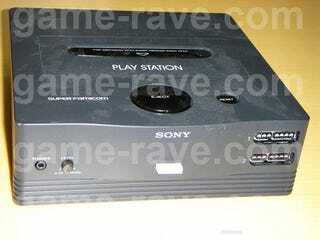 This console posted on game-rave is supposedly a prototype of the PlayStation/Super Famicom unit. They claim it's real, but whether or not Sony and Nintendo actually got to the point where they made prototypes is unclear. Still, this seems like an interesting box and gives us a chance to stroll down memory lane. Ahh, look, there's the house of noogies to your right.